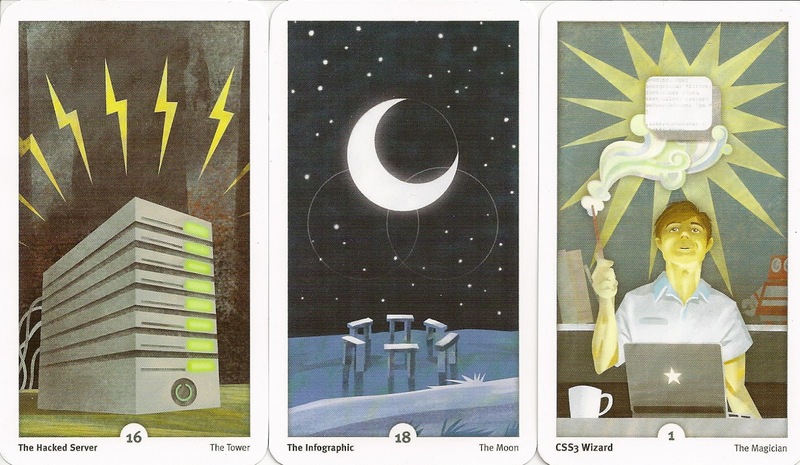 The Web Designer's Tarot was produced by UnmatchedStyle.com for the 2011 ConvergeSE conference. The cards make up the Major Arcana of a traditional tarot deck but have been rendered just for designers and developers. There is one extra blank card. The backs have a reversible grey and white pattern. 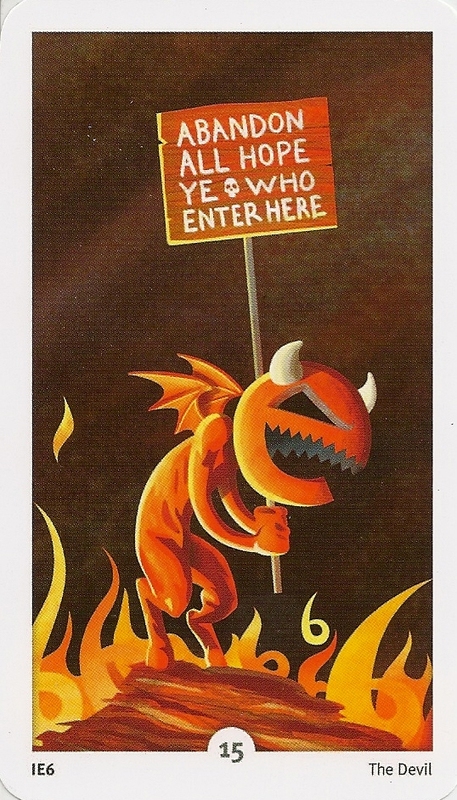 Each card has a traditional title as well as a number and a unique title in keeping with the deck's theme. They came with no box or other package, but were accompanied by a little paper notebook and a variety of stickers and temporary tattoos.